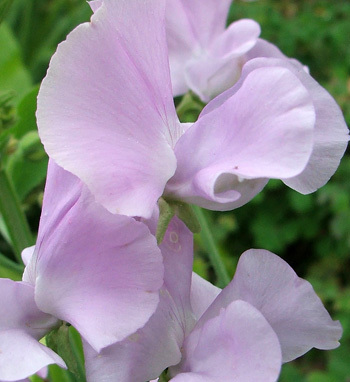 Sweet Peas have always scared me. Gardening books talk about the essential preparation of the ground - digging in loads of manure, watering, and so on. 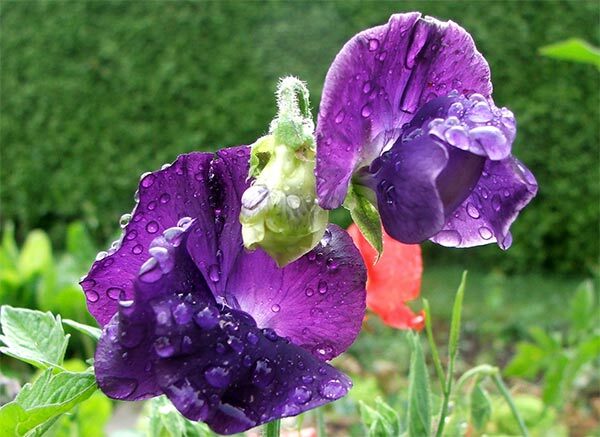 But finally I've had a long flowering season of success, with a collection of Sweet Peas I've grown in my vegetable garden. I haven't done anything I should have done, but they've bloomed brilliantly, entwining themselves through the runner beans and the tomatoes as well as their own little bamboo wigwam. I seem to have a variety of colours - from pastel lilacs to the deepest blues and richest cherry reds. Many are perfumed, too. Seeds I transplanted in the autumn survived winter snow storms. Other seeds I grew in spring were faster to flower, but just as gorgeous. Such heavenly fragrance! And such a beautiful blue. I'm determined to do better next year. I might even try the manure in a trench gardening advice!